Have you noticed the sneak peeks over at There She Goes this week? 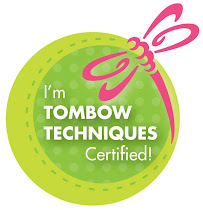 Unfotunately, I'm sitting them out this month. BOO!!! My stamps for the release are stuck somewhere between Washington State and BC.... The sets are FANTASTIC this month so make sure you check them out. 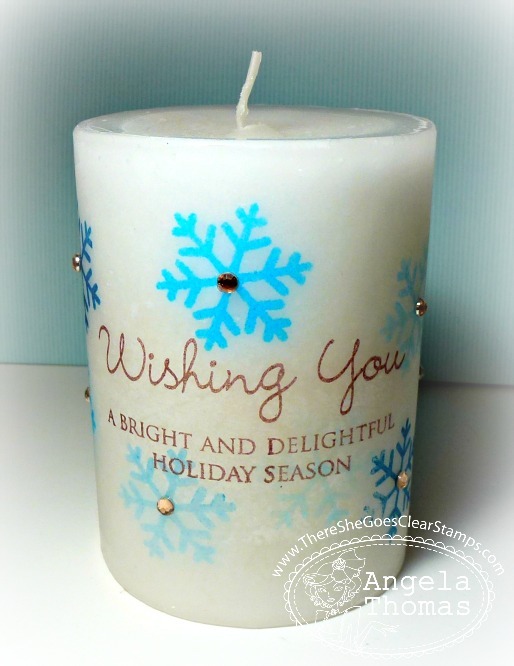 In the meantime, I have made a candle using two TSG sets called "Holiday Tags" and "Wishing You". I stamped the snowflakes using a few different shades of blue (Memento and Stampin' Up). I then added some rhinestones to the center of each snowflake. The sentiment was stamped using Chocolate Chip ink.